Using all the available genealogy resources to ferret out further information about your family tree can yield great results. Often we think of genealogy resources as the official records for your ancestors such as the census records, vital statistics, and social security records. However, you want to use all the available sources of genealogy information in areas where your family lived. The data you can find will absolutely amaze you! Step beyond the ordinary and think about the more local and unofficial records in a locality. Newspapers can have a great deal of family information beyond what you may have gleaned from those official sources. Perhaps family children played on local sports teams, won a Halloween costume contest, or belonged to local youth groups. Churches were among the first organizations to record vital information such as births, marriages, and deaths of their congregants. They also have many other records about local life. Don't overlook the part the church may have played in your ancestor's life. Cemeteries are another source of vital information about your ancestors. They also may contain information about family members you did not even know existed such as an infant or young child. Court houses have records dealing with court cases, but they often have additional material dealing with local business licences, permits for buildings and special events, and early maps of the municipality which can give you further insight into your ancestors' homes and businesses. Many communities have a local historical society, an archive, a library, or a genealogical society. If you are very lucky, the community may have more than one of these. 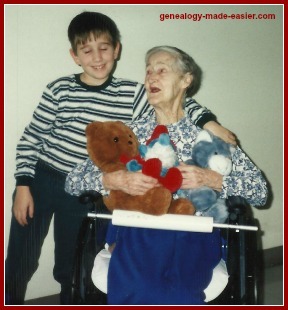 Don't neglect these genealogy resources. Sometimes it takes a ton of work and time to go through these materials because it is not indexed, but the finds you make may fill in some areas in your family tree you had about given up on. Below are links to lists of state or provincial genealogy resources including archives. Also here for a listing of the Archives for each Canadian province and territory. Land record offices contain the records dealing with the buying and selling of land. But, they contain much more sometimes. In many localities, mortgages were recorded in the land record office, and even wills were filed there if they dealt with the inheritance of land. They can be dry and dusty, but they may have nuggets of information about your family you will find nowhere else. Post offices are especially useful for finding the locations of other genealogy resources. Where is the cemetery you are looking for? Sometimes they even know who the cemetery caretaker is, and, of course, where he lives. Go in at a not too busy time and chat with the clerks and you may find out there are relatives of yours you did not know about still living in the area! Businesses can be helpful, especially if your ancestor was a business person. Not only did he sell or provide a service to the members of the community, but he also bought and used the services of others. There may be business directories available. There may be business organizations your ancestor belonged to. Just because your family no longer owns that business is no reason to ignore the possibilities such contacts might bring. It is also possible that even if your ancestor did not own a business, he worked at a local business, or was friends with members of local businesses. Talk to the oldsters around town - you might find some who remember your family member well and are happy to share those memories with you. Neighbors can be a source of great information about an ancestor. After all, these people lived right next door, and had daily contact of some type with your family. Lots of people love to talk about the old days, and the people who used to live here. Sometimes, the anecdotes are priceless in the insight they give you about your family. If your family lived in a rural area, and children went to local schools for their elementary education, but to a consolidated or regional high school, don't forget to check that school's records too. Oftentimes, the school records have been archived in the local historical association or archive offices. Check all the schools in the area for records. Speaking of schools, I want to send a big "callout" and some "high-fives" to Mrs. Phillips's kids from Colorado who sent me this resource they found on the web after reading this page on my site. They are awesome and seem to be budding genealogists. Good work, kids - and a big thank you! These are all examples of genealogy resources that researchers often forget to check. Don't be one of those researchers. Check here for more family history resources - including some you may never have thought of. It's easy to forget to gather the anecdotes and local stories about your family. Unvarnished Cold Facts or Human Interest Stories?